The Huawei has been fortifying its brand with various quality devices and the Huawei P9 certainly adds to that. Elegantly designed, the Huawei P9 uses a metallic uni-body build architecture with rounded edges and a borderless screen. There are six colors to choose from depending on the variant; ceramic white, haze gold, rose gold, titanium grey, mystic silver, and prestige gold. Display on the smartphone is a gorgeous 5.2 inch IPS-NEO LCD panel with Full HD resolution, which is protected by Corning Gorilla Glass 4. Saturation is deep and the details produced by this screen certainly please the eye. The Android 6.0 Marshmallow system comes with a Cortex-A72 quad core processor clocked at 2.5 GHz and a Cortex-A53 quad core processor clocked at 1.8 GHz. This octa-core setup is supported by up to 4 GB RAM, a Mali-T880 MP4 GPU and up to 64 GB storage, again depending on the variant. The Huawei P9 also sports high fidelity audio with good clarity. A standout feature is the dual rear-camera setup by Leica with each camera rated at 12 MP, f/2.2 aperture. 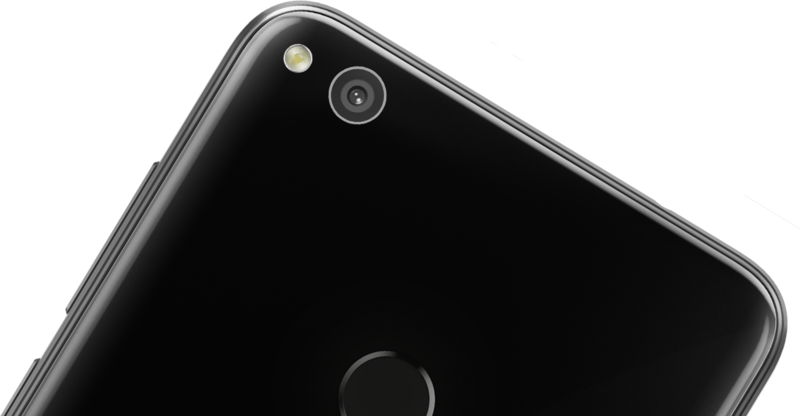 In addition, there is a 8 MP front camera for a total of 3 cameras. The Huawei P9 comes with a USB Type-C connector, A-GPS, a fingerprint sensor and a non-removable Li-Ion battery with 300 mAh capacity. Leica style. Huawei relies entirely on the camera in the P8’s successor, and once again sets up an impressive overall package. 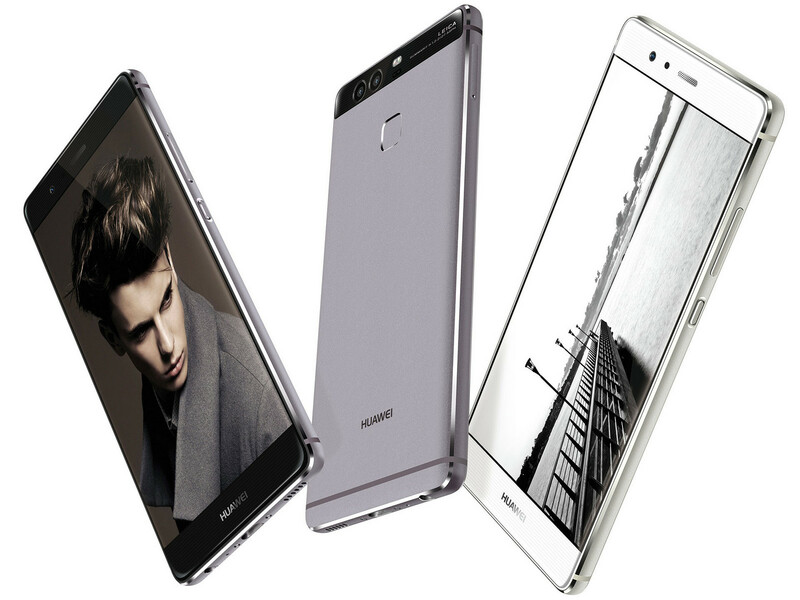 The new showcase smartphone is even higher quality and the battery is also larger. However, there is still room for improvement. Update: firmware B391 adds a moments feature to the camera app. 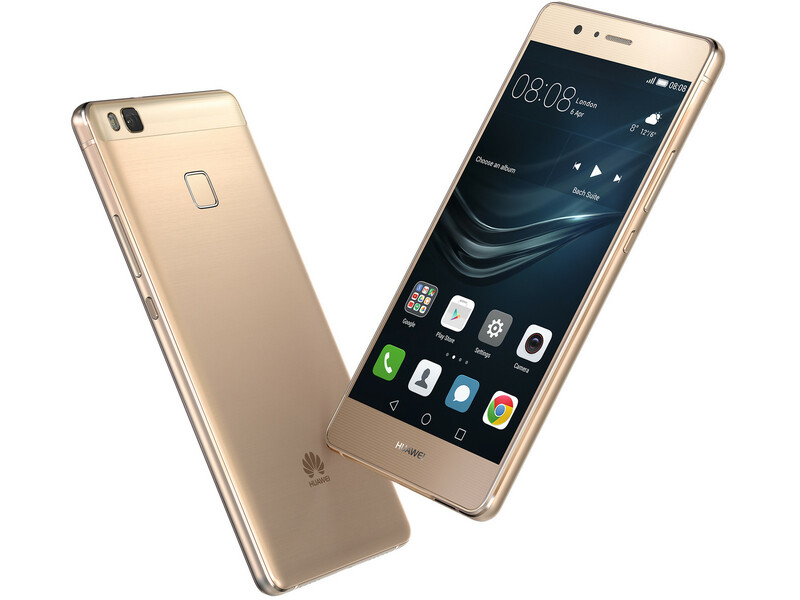 The P9 Plus is a 5.5 inch Android 6.0 smartphone powered by a Huawei Kirin 955 octa-core processor and 4 GB of RAM. Its elegant build is crafted mainly on aerospace-class unibody aluminium. It is boosted with not one, but two rear-facing cameras. With Leica’s co-engineered Picture Quality Algorithm, it is virtually capable of performing like a professional camera. With 7 mm it is slim and it weighs about 162 g. One outstanding feature of the P9 Plus is its superior responsiveness. Enhanced with the PressTouch technology, screen pressure may be customized to improve ease of use and interaction with the smartphone. 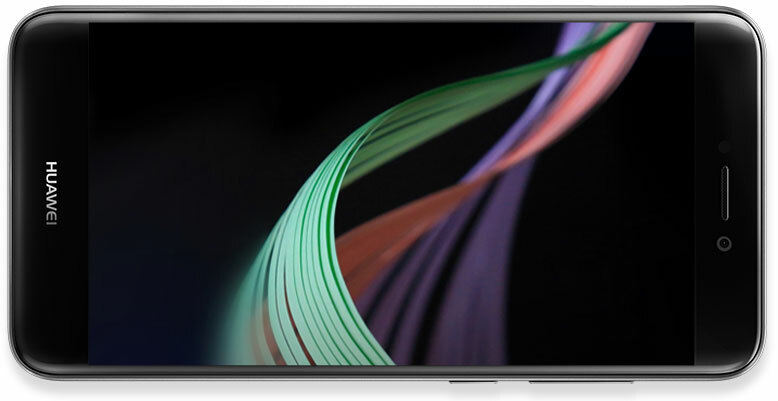 Connectivity on the P9 Plus is remarkable as it is equipped with a virtual triple antenna, whereby signals will not be affected by hand positions. It is further supported by a fingerprint sensor, which can be easily customized with gestures for unlocking purposes and ID recognition, thus improving security and convenience. Audio performance on the P9 Plus is equally impressive with differing listening experience at landscape or portrait mode. It comes with a 3400 mAh battery with dual AC rapid charging. In addition, it is NFC-compliant. 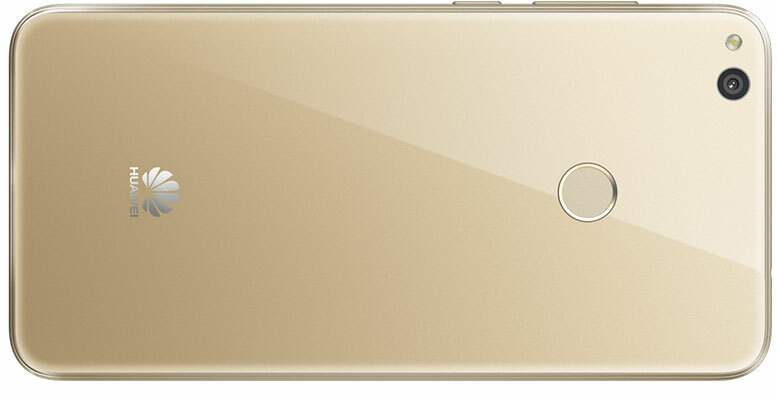 The smartphone comes in three color variants: quartz grey, gold and ceramic white. Is everything better with the Plus? The new P9 Plus from Huawei is not just a bigger version of the standard P9, the display differs completely from the smaller sibling as well. The Press Touch feature is also reserved for the Plus model. 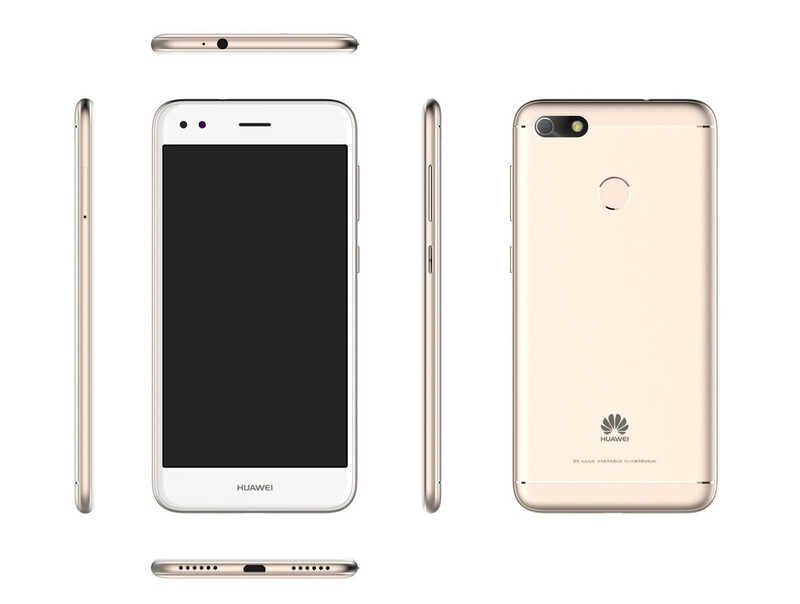 The Huawei P9 Lite is an Android smartphone claimed to be the successor of the former P8 lite. The chassis is made with an aluminum frame with a polycarbonate back. Although the back is made with plastic, the coating on it gives it a metallic looking experience. It comes pre-installed with Android OS 6.0 Marshmallow operating system, has Kirin650 Quad-Core 2.0 GHz + Quad-Core 1.7 GHZ processor, a Mali-T880MP2 graphic card, 3 GB RAM or 2 GB RAM, and a 16 GB with eMMC flash memory. Thanks to a microSD slot the storage capacity can be expanded by up to 128 GB. The operating system is skinned with EMUI UI instead of a stock Android UI. Its 5.2-inch IPS screen features Full HD resolution (1920 x 1080 pixels) and delivers good images with strong, accurate colors and good whites and blacks. 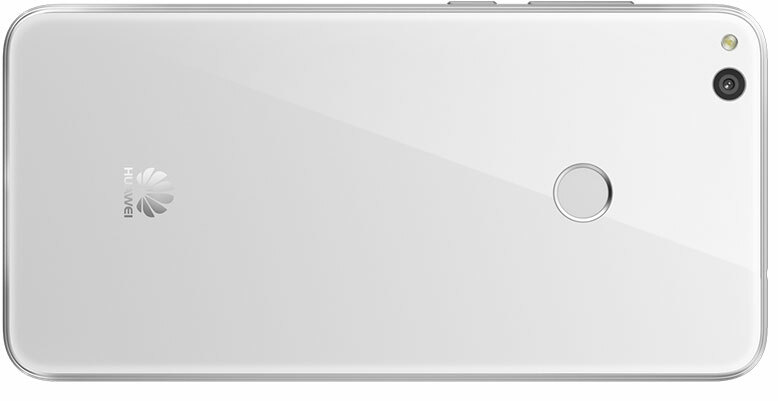 The 13 MP rear camera features autofocus, a LED flash, geo-tagging, face detection, touch focus, HDR and panorama features. The front camera features a resolution of 8 MP and a LED flash. The smartphone also comes with sensors such as accelerometer, proximity sensor, digital compass and ambient light sensor. It is available in 3 different colors; gold, black and white. It weighs 147 g and its battery life can last for over 10 hours. Product care. 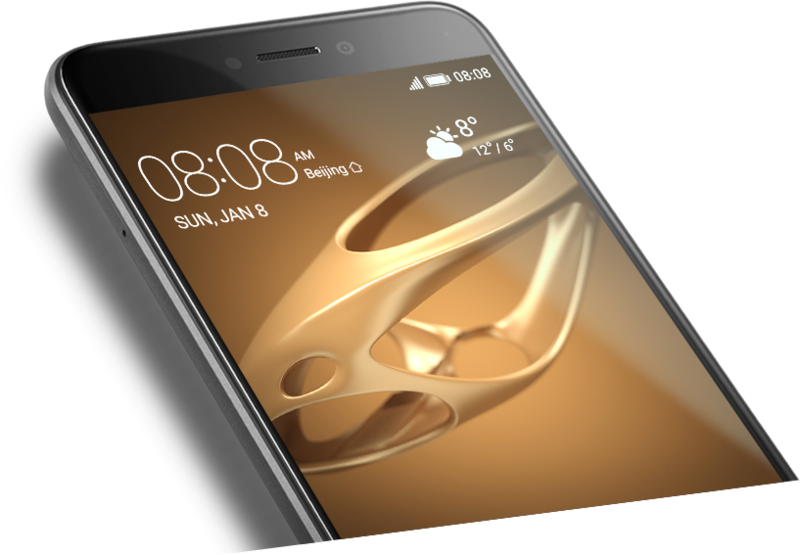 Huawei supplements its P9 lineup with the classy mid-range smartphone P9. The 5.2-inch Android handset proved to be a worthy successor of the bestseller P8 Lite in the test. In a time when the market for wearable tech is ever growing, one’s ownership of a smart bracelet or watch is becoming a more common thing. However, the price is what draws away many users and they ask the fair question of whether the features of these devices are worth the investment. With the new offer combining a smartphone and a smart bracelet, Huawei is trying to make us think twice. The company has put together the stylish and powerful Huawei P9 lite and the smart bracelet. The "diet" label usually comes with a warning: "does not replace an exercise routine." In similar fashion, the Huawei P9 lite has to do the work, it just can't cut back on the sugar and call it a day. And it does deliver. It has a sweet display, the build quality, chipset and battery life proved quite tasty as well. The camera is good if not great while the software is an acquired taste, which some of you may already have. Positive: Excellent display; high performance; fast fingerprint sensor; good cameras; long battery life. Negative: Sim and microSD are on the same slot; only 16GB Rom; plastic case. 76% VIDEORECENZIA: Je Huawei P9 lite najlepším lacným smartfónom? 80% Preis-Leistungs-Schlager Unter 300 Euro? 100% Unser Test in aller Kürze! 78% Schneller, schärfer, größer, besser? Huawei P9 Lite o Moto G4 Plus, ¿Cuál es mejor? Positive: Excellent display; good cameras; support 4G; flexible fingerprint sensor. Negative: Mediocre hardware; unsupport wireless and fast charge; plastic case. Positive: Good price; nice design; decent cameras; long battery life. Positive: Good fingerprint sensor; high quality; impressive sound. Negative: Relatively high price. Positive: Good price; nice display; decent cameras. Negative: Mediocre hardware; plastic case. Positive: Decent cameras; nice display. Negative: Plastic case; mediocre hardware. Positive: Low price; nice performance; dual sim. Positive: Nice design; compact size; good cameras; decent hardware; low price. 62% Test, recenzja, opinia – Huawei P9 Lite – Dobry aparat to za mało! Positive: Nice design; decent cameras; good hardware. Test smartfona Huawei P9 Lite - młodszy brat czy ubogi krewny? Positive: Good quality; decent camera; very good speakers; functional interface; good display; good price. Negative: Weak intuitive interface and easy to contaminate the rear panel. 79% Huawei P9 Lite testte! Positive: Solid workmanship; good screen; quality sound; support LTE; fingerprint scanner. Negative: Sim and microSD are on the same slot. Positive: Good price; compact size; decent hardware; good display. Positive: Nice display; good price / performance ratio; decent hardware. Negative: Slow connection; no USB-C; slow charging. Positive: Nice design; high performance; decent autonomy; dual sim; good cameras; good price. Negative: Plastic backside; slippery. Positive: Solid workmanship; fast fingerprint sensor; nice design. Negative: No NFC; short battery life. Positive: Solid workmanship; support dual sim; long battery life; nice design; fast fingerprint sensor. Negative: Slow system; low gaming performance; sim and microSD are on the same slot; no NFC. Positive: Great built quality; metal case; nice display; pleasant ergonomy; fast fingerprint reader; long battery life. Negative: Poor cameras; low performance. ARM Mali-T880 MP4: Mobile graphics solution for tablets and smartphones, which can be found in ARM SoCs like the HiSilicon Kirin 950.Only some 3D games with very low demands are playable with these cards. ARM Mali-T830 MP2: Integrated graphics card for smartphones and tablets with two clusters (MP2) supporting OpenGL ES 3.2.These graphics cards are not suited for Windows 3D games. Office and Internet surfing however is possible. Qualcomm Adreno 308: Integrated mid-range graphics card in the Snapdragon 425 SoCs that supports OpenGL ES 3.0 and features unified shaders. » Further information can be found in our Comparison of Mobile Graphics Cards and the corresponding Benchmark List. 425: Entry-level SoC that was announced in February 2016. It integrates 4 ARM Cortex-A53 CPU cores clocked at up to 1.4 GHz, an LPDDR3 memory controller and wireless radios for WiFi and 4G/LTE. 84.13%: This rating should be considered to be average. This is because the proportion of notebooks which have a higher rating is approximately equal to the proportion which have a lower rating.» Further information can be found in our Notebook Purchase Guide.